New Zealand jewellery brand ASTRA has won the award for Emerging Jewellery Brand of the Year at London’s Professional Jeweller Awards 2018. The second annual Professional Jeweller Awards took place at London’s glamorous Bloomsbury Ballroom on Monday 3 September. 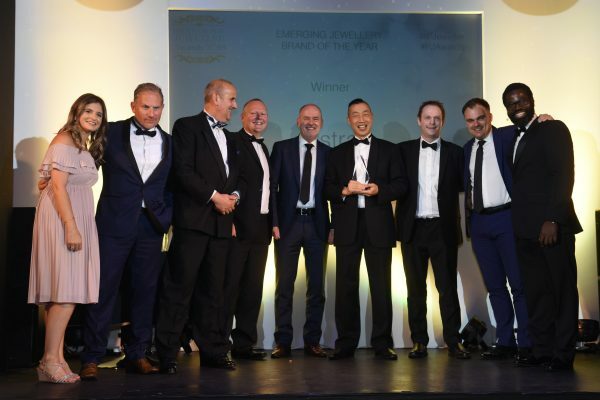 The Emerging Jewellery Brand award, given for the first time this year, recognises new brands entering the UK market and hitting the ground running and is voted for by jewellery retailers. Since its launch in the UK in 2017, ASTRA has taken the industry by storm with its selection of personalised jewellery. Just six weeks after its launch, ASTRA has opened 80 accounts, with the number of doors in the UK and Ireland now surpassing 120.